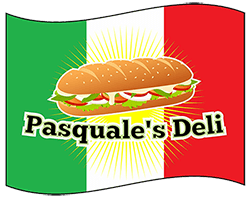 Online ordering menu for Pasquale's Deli. At Pasquales Deli we strive to use fresh, quality ingredients in everything we make. We offer excellent breakfast sandwiches, salads, grinders, burgers, hot dogs, and more. Try a famous Pastrami Sandwich, Chicken Parmesan, or a Philly Cheesesteak. You won't regret it! Don't forget to try one of our amazing milkshakes! We are located on South Main Street, near the Terryville Public Library and the Lock Museum of America. Order online today for carryout.